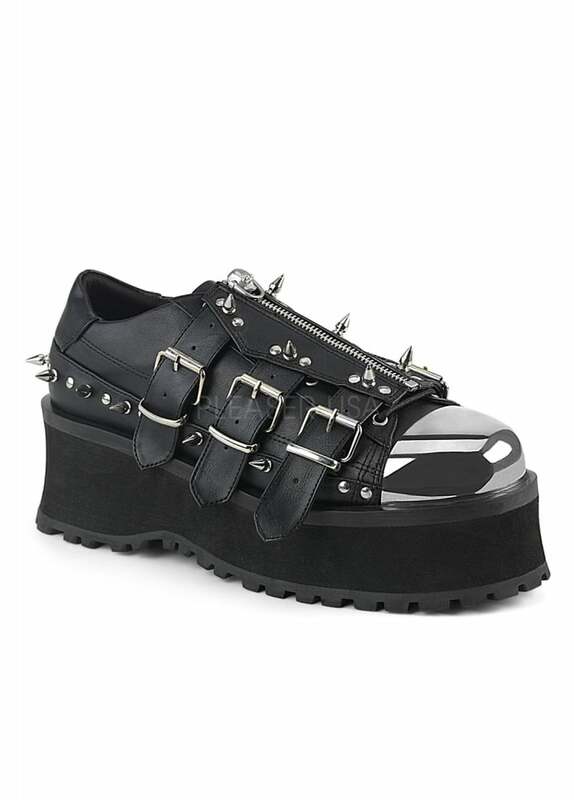 There's nothing more metal than a steel toe capped shoe and Demonia's Gravedigger 03 Gothic Toe Cap Shoes deliver! These vegan leather Oxfords are lace up with a coffin shaped zippered buckle strap with skull head zipper. The shoes feature a silver chrome plated toe cap, spike and flat studs and platform sole.